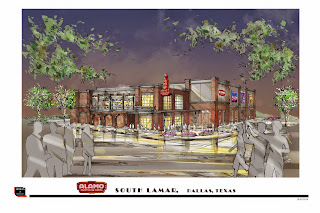 Dallas - Oct 30, 2014 — In July, Alamo Drafthouse Cinema DFW, announced Dallas is getting its very own eight-screen theater on the southwest corner of Cadiz Street and S. Lamar Street, between the Dallas Convention Center and the South Side on Lamar. 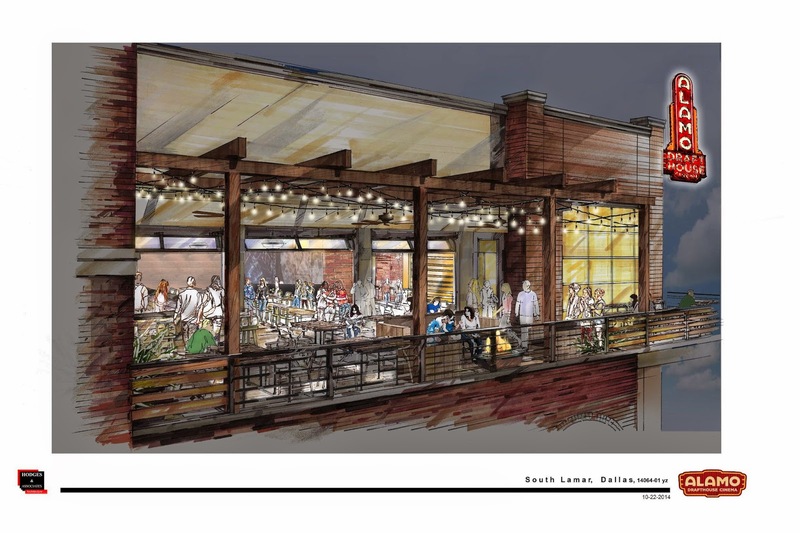 In addition to in-theater dining, Alamo Dallas will feature a second level Taproom with two patios and a panoramic view of downtown. 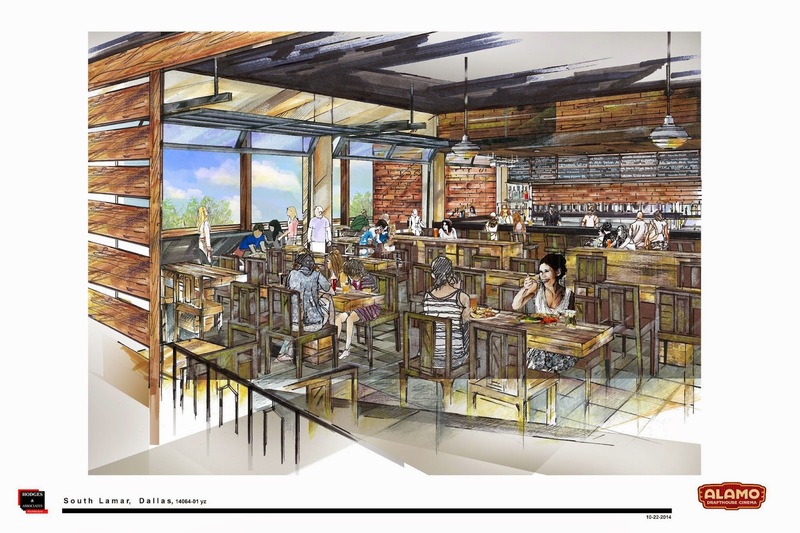 The Taproom and patios will have seating for over 200 people and feature an extensive menu of 32 craft beers on tap; over 35 bottled beers, wine, craft cocktails and scratch made food. 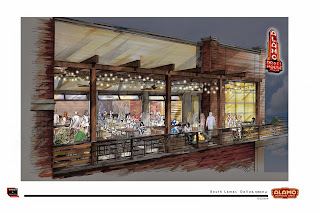 The bar and front patio will have overhead garage doors linking the two spaces and allowing for great views of downtown Dallas. 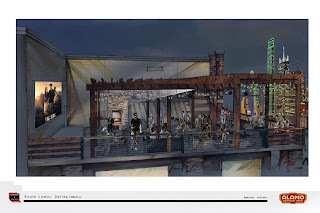 The back patio will feature an outdoor movie screen complete with 4k projector, stage for live music, and private karaoke rooms. 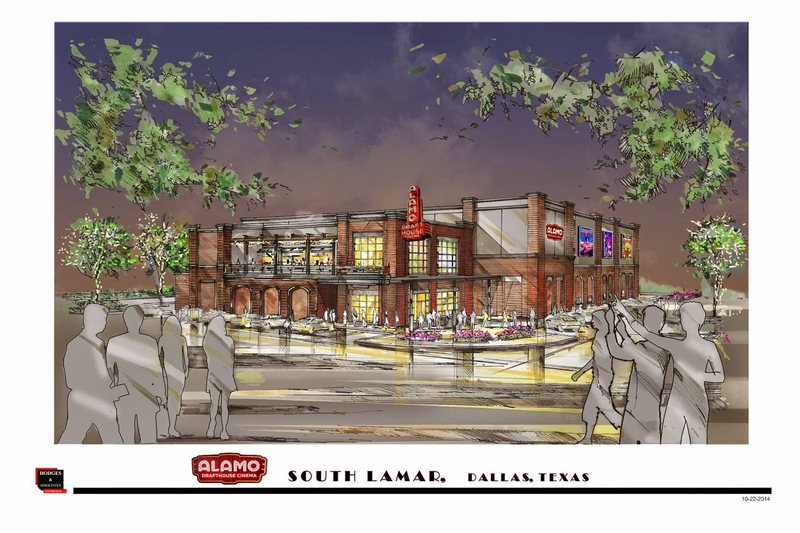 As with any bar in an Alamo Drafthouse, guests are invited to enjoy lunch, dinner, brunch, and happy hour whether seeing a movie or not. “As you may know, Alamo is more than just a great theater, it is a cultural hub for all kinds of entertainment; movies, music, comedy, drinks, dining, and, of course, Alamo’s world famous events. Our second-floor bar at Alamo Dallas will be second to none and serve as a stand alone watering hole or simply a place to relax before or after a film,” said Bill DiGaetano, owner/COO, Alamo Drafthouse Cinemas DFW. 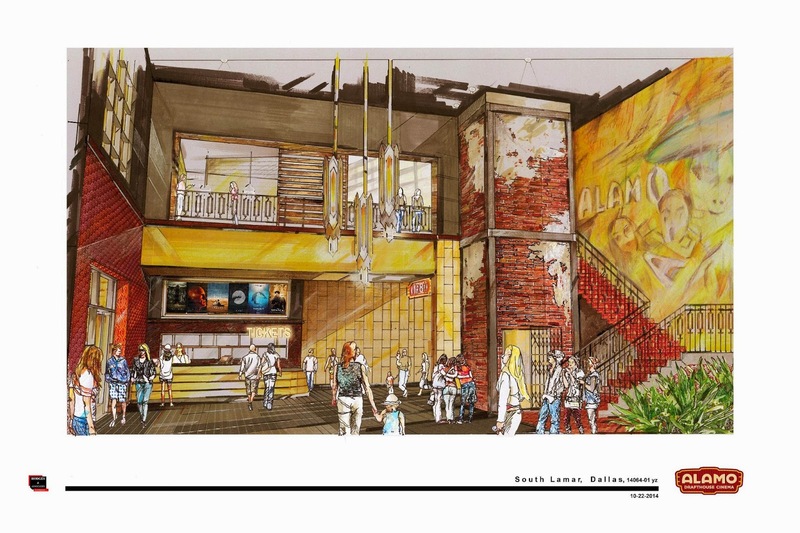 Alamo Drafthouse Dallas will be a state-of-the-art theater with 8-screens and just under 1,000 seats. Each auditorium will be equipped with the latest in 4K digital projection with larger-than-average screen size to room ratios and 7.1 Dolby Surround Sound. Select auditoriums will also feature 35mm projectors for Cinephiles to experience classic and repertory content as they were meant to be viewed. Not only will they feature superior audio-visual equipment, additionally the format of each theater will eliminate the traditional front row, ensuring every seat in the theater allows for an optimal viewing experience. Alamo Drafthouse combines dinner, drinks, films and events, all under one roof. The theaters have been heralded for their unique programming events and high exhibition standards, earning accolades like “Best Theater Ever” (Time Magazine) and “the coolest theater in the world” (Wired).